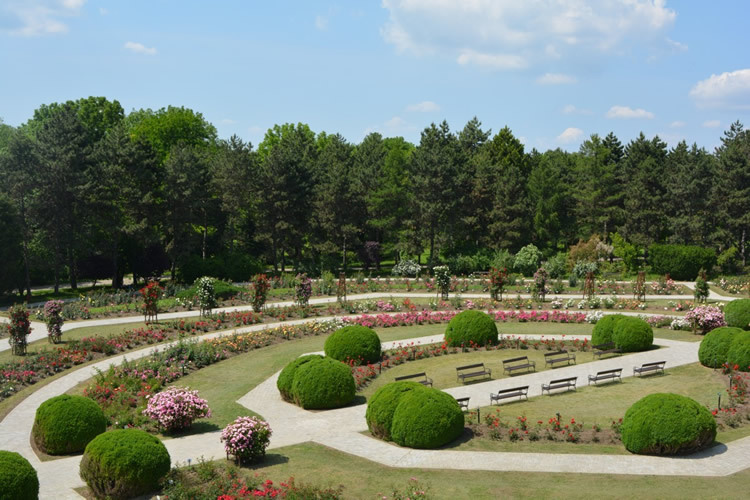 The rosary section or the rose – garden is situated at the intersection of the main access ways and the intersection of the principal sections of the Botanic Garden "A. Fatu". Presenting about 1,7 ha area, it groups together approximately 600 roses varieties distributed in horticultural groups, taking into account their proportions, forms and colours. 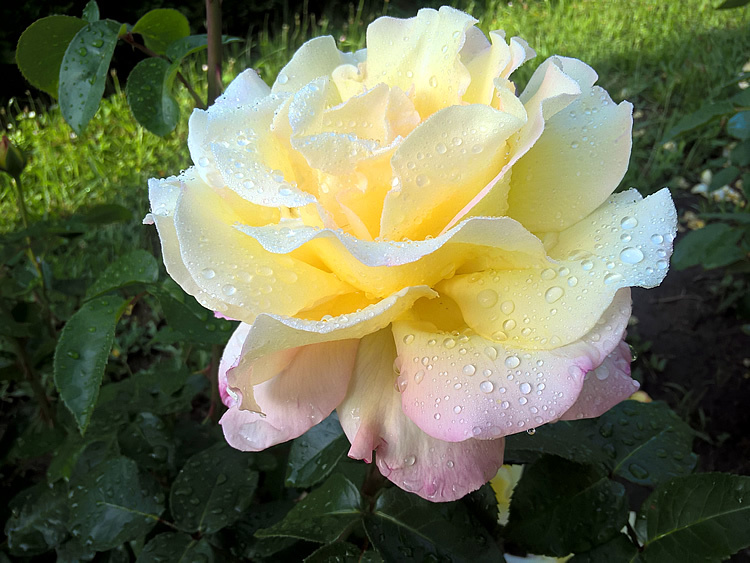 In the rosary’s centre are placed the noble roses varieties and in the peripheral zones are placed the wild genitor species, divided depending on their geographic origin. By moving down from the main entrance on the cut stones steps, in the laterals sides can be admired the ancestors of the noble roses, the ancestors of the park roses and the ancestors of the climbing roses. After that, by a path from the left, we can reach to a triangular small square whence starts the peripheral alley that surrounds all the rose-garden. Wichura’s rose (Rosa wichuraiana), originating in China and Japan, used to create a valuable group of climbing roses, presenting glossy leafs and diseases resistant. 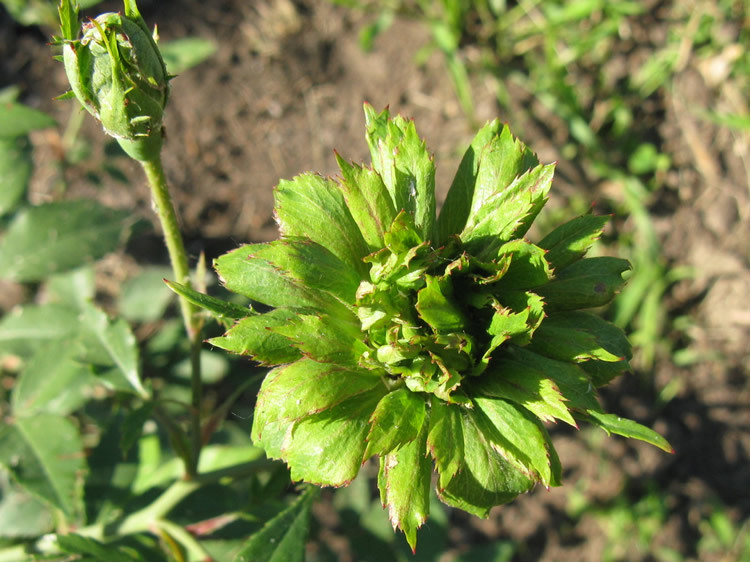 mountain rose (Rosa pendulina), unpretentious to light and soil characteristics and severe cold and smoke resistant. the Remounting roses, presenting repeating flowering and considered the oldest group of noble roses. The first of them have appeared around 1820 and represented creations of Laffay by crossing Bourbon and Damascus roses with Chinese and Thea roses. 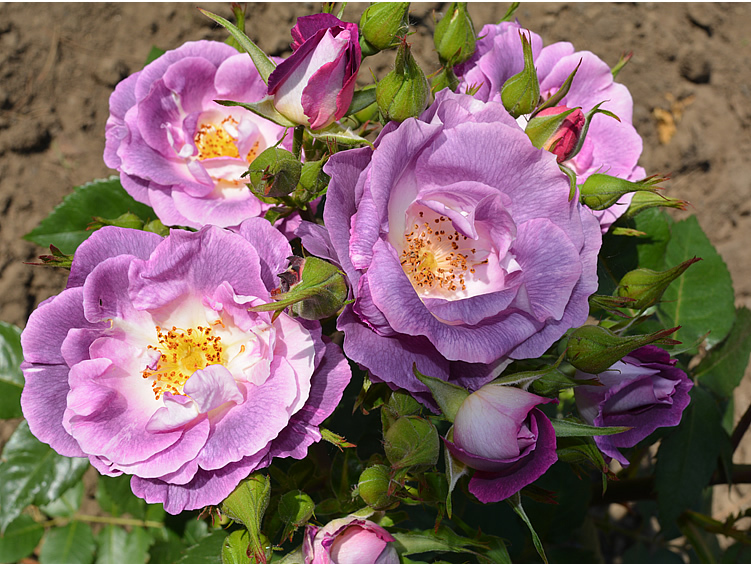 A part of these varieties have been maintained in culture until today as 'Frau Karl Druscki' variety (white flowers) created in 1901.
varieties presenting mauve – lilac flowers: 'Eminence', 'Mainzer Fastnacht'. Around the small square, in two semicircular layers disposed one in front of the other, are cultivated low stature roses from Polyantha horticultural group, having little, one or bi-coloured flowers, grouped in bunches. In the last decades the ameliorators have oriented to create Mini type varieties, adequate to borders realization or cultivation in flower pots as 'Little Scotch', 'Perla de Alcanada', 'Cricri'. In the centre of the rosary section, the attracting red colour of 'Luchian' variety (a valuable Romanian creation) can be remarked. 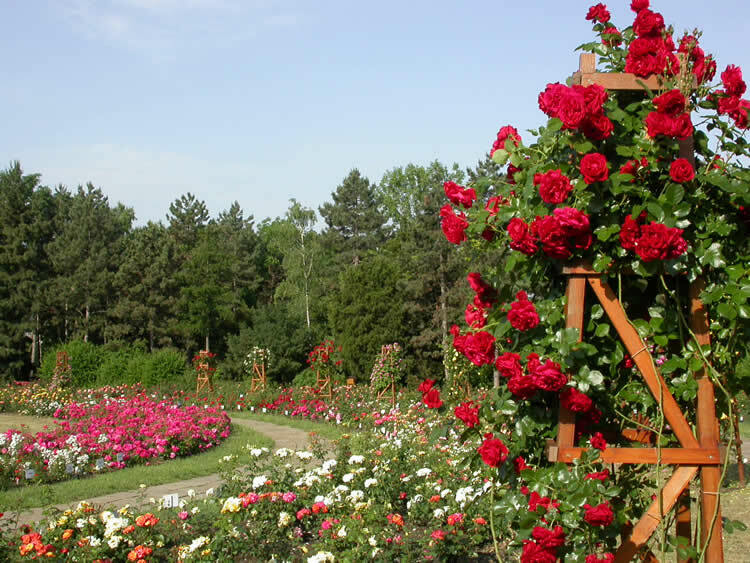 In the semicircular layer of the rose garden, two Romanian creation, 'Foc de tabara' and 'Rosa bunda', can also be admired. 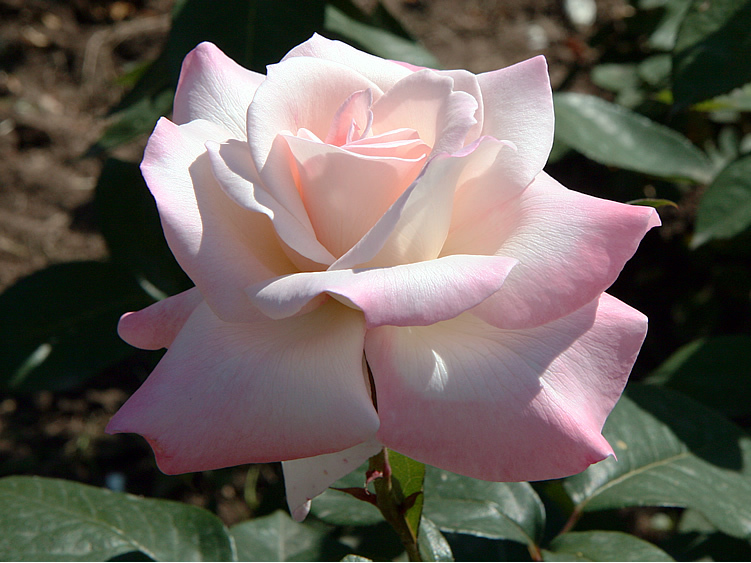 A special place has been reserved to a semi-climbing roses group named Climbing. 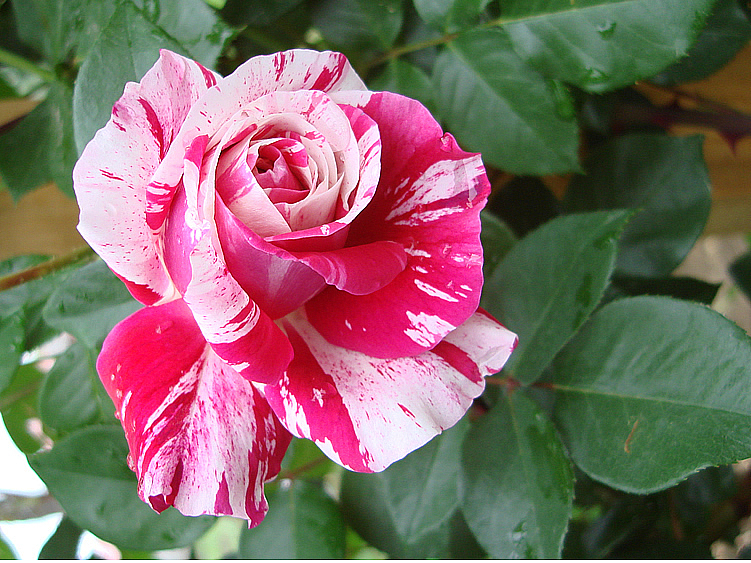 Presently, the noble roses collection of the Botanic Garden includes 600 varieties. 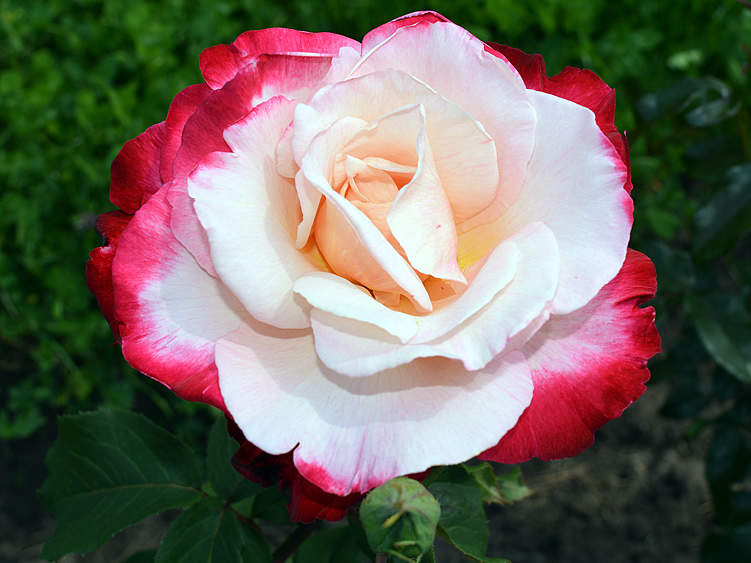 This valuable roses collection is unique in Romania and has been recognized by "The World Federation of Rose Societies". Leaving the rosary, besides the agreeable impressions generated by the beauty of flowers, the visitor remains with a edifying image of the cultivated roses evolution.